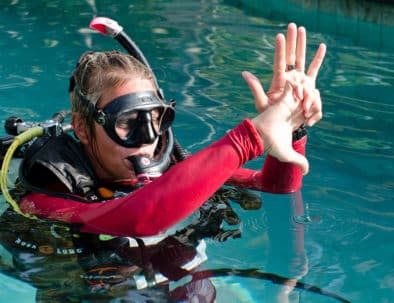 Our 5 Days 4 Nights PADI Learn & Stay Package Open Water Diver Courses is the best all inclusive option for those who wish to take their PADI while on vacation in Nusa Lembongan, Bali. This package includes all your meals, accommodation, transfers, PADI material and diving equipment plus 4 open water dives. 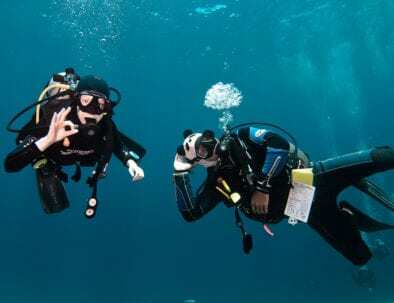 Once you complete this course, you will be certified to dive to 18 meters. Day 2 – Breakfast, Open Water Day 1 – Theory, lunch, pool session, dinner. Day 3 – Breakfast, Open Water Day 2 – Pool, lunch, theory, dinner.